This dressing is for lettuce. 1. Cut the onion on a cutting board in smal cubes. 2. Put all ingredients in a bowl and mix it with a whisk. 4. 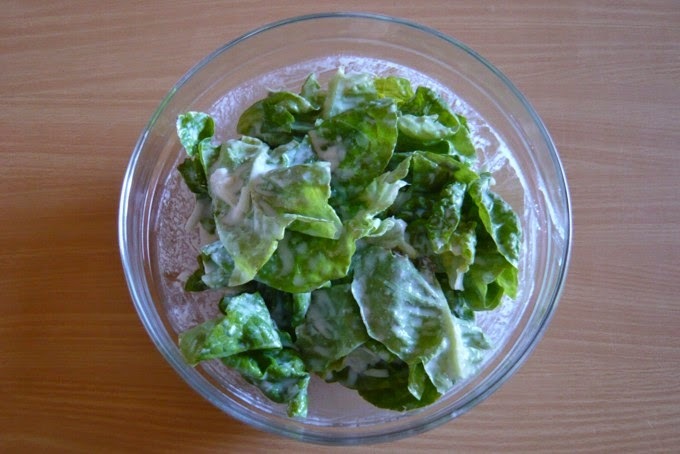 Now pour it over the lettuce and mix it with two tablespoons.